GN Solids is a professional oifield drilling mud vacuum degasser manufacturer and supplier in China oil drilling mud solids control industry. 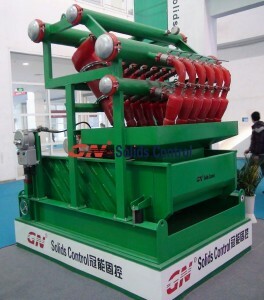 As the pioneer in this industry, GN Solids is capable of providing customers with series products ,such as oil & gas drilling fluid solids control equipment, drilling decanter centrifuge, drilling waste management equipment and drilling security equipment. To recomve invading gas from drilling mud, it is necessary to install a vacuum degasser. So that the invading gases may not impact mud properties. This invading gases can lead to risks and affect the lifespan of solids control equipment. 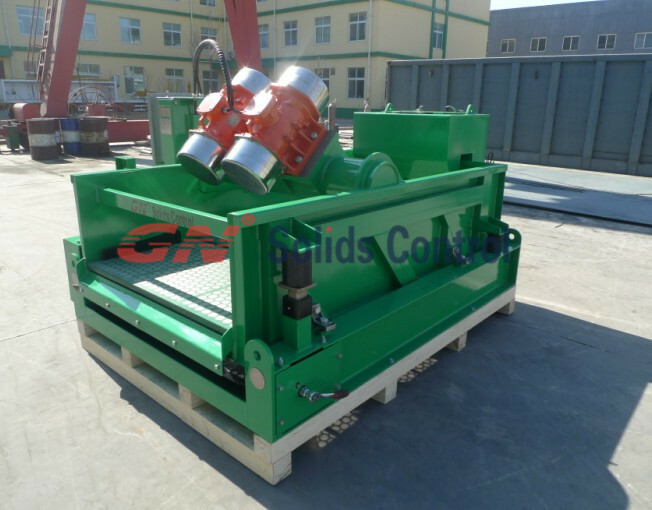 Vacuum degasser is a special-purpose oil drilling mud solids control equipment and a new type one for the drilling fluids system. 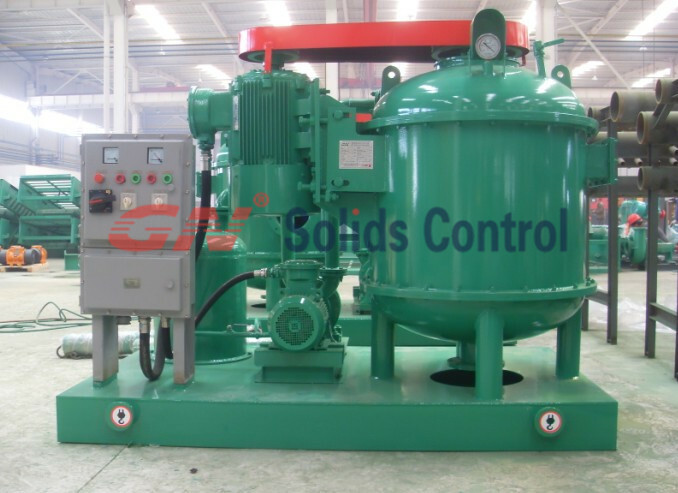 Drilling mud vacuum degasser can get rid of various gases invading drilling quickly. Drilling mud vacuum degasser is very important for keeping mud gravity, stabilizing mud viscosity and reducing drilling cost. At the same time, drilling mud vacuum degasser can be used as a heavy-power mud agitator and supported applicable to all types of drilling mud purification system. The drilling mud vacuum degasser design of the structure is scientific and rational. So we are able to achieve an effective gas-liquid separation, filter out impurities and to ensure that the exhaust pipe is always smooth. 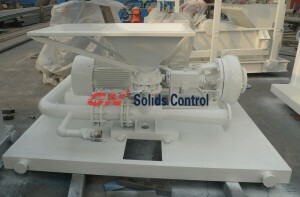 The shale shaker is the first stage of solids control equipment in drilling mud purification system. It can remove cuttings above 75 μm brought from the drilling well to leave the liquid with smaller particles into the tanks below, which will flow into next grade solids control equipment for further treatment. 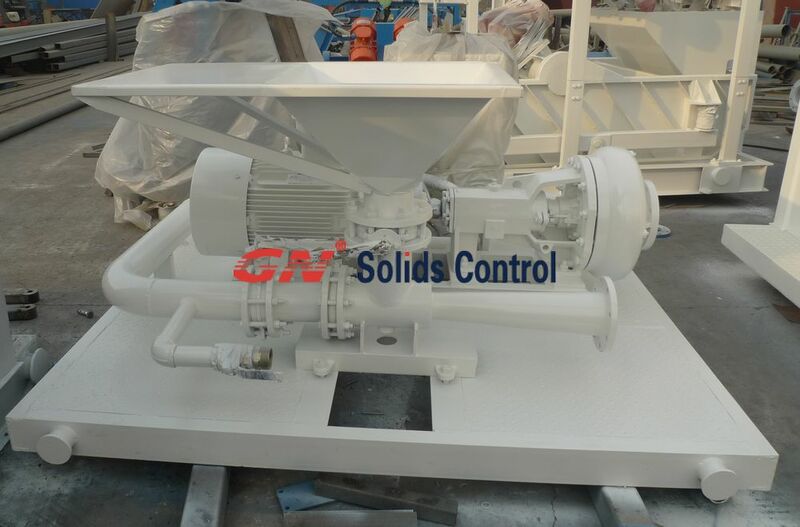 GN Solids drilling fluid linear motion shale shaker is especially effective while drilling top-hole sections where heavy and high-volume solids are usually encountered. In these intervals, drilling shale shakers may generate powerful G-forces and its effective vibrating motion can quickly remove the dense solids from screens and particles from wells. When water-based muds (WBMs) were used, only limited environmental harm was likely to occur, but when operators employed oil-based muds (OBMs) on deeper sections of wells, the resulting cuttings piles created impaired zones beneath and adjacent to the platforms. So it is necessary to process drilling waste by GN drilling waste management system. Many offshore rigs do not process the drilling waste or even drilling mud at site, because there are professional facilities who can recycle the drilling mud and process the drilling waste. 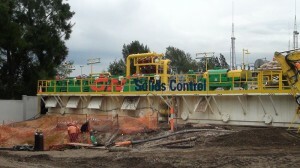 Then the rig can re-use the recycled drilling mud. 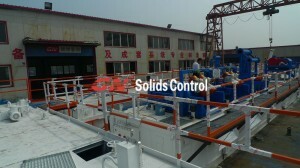 Unlike onshore drilling rigs, there are complete solids control systems in onshore drilling site. 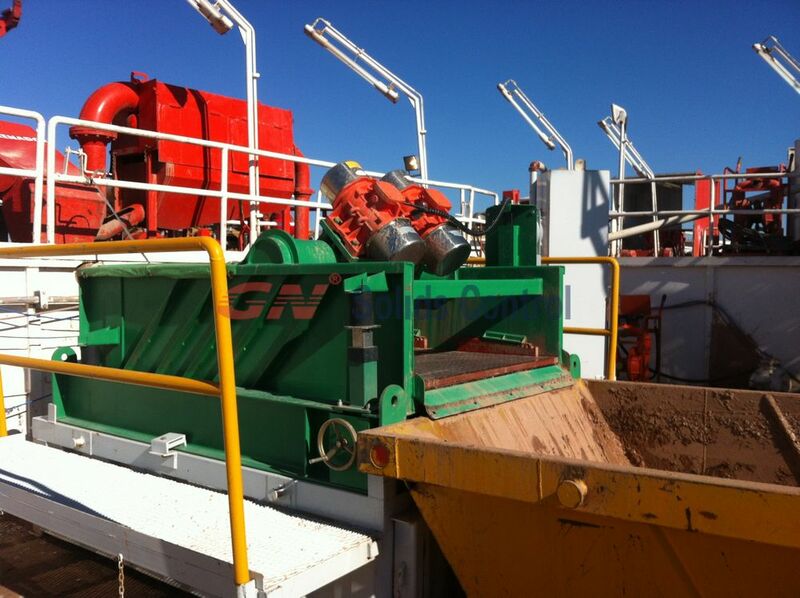 The drilling waste produced by onshore drilling are mainly drilling cuttings and less water, which can be transferred by screw conveyor to hi-G shaker or vertical cutting dryer for further process. 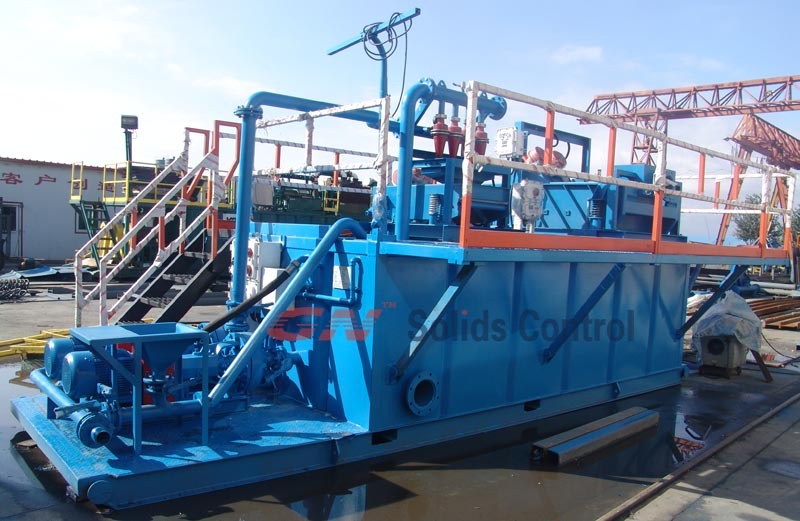 The drilling waste produced by offshore drilling usually is not produced by solids control equipments, they are collected by containers then transport to the drilling waste management facilities for process. Firstly they are pumped to shale shaker( drying shaker), then desander, desilter cone, the clean fluids can be processed by decanter centrifuge directly. The cuttings are transferred to vertical cutting dryer, then to decanter centrifuge, the clean fluids are collected and re-used in offshore drilling rig. Mud rotary drilling is popular in wellbore drilling, offshore works, well drilling, Horizontal directly drilling, mining, geotechnical. Drilling fluid system is one very important part of the drilling work. The two main parts of the drilling fluid system is the actual drilling fluid and the solids control equipments, to separate the cuttings from the drilling mud at the surface, and circulating water based drilling fluid. As we all know the quality and charactor of the drilling fluid effects the drilling works. The viscosity, density, fluid loss control, sand content, gel strength, and so on. The drilling fluid system is used to control them.